Innovation has been part of human culture since early man. Our tools, our processes and our behaviors have always gravitated towards convenience, simplicity and efficiency in our daily lives. It’s our nature. More recently, the spread of fast food restaurants, the widespread use of computers and always-on Internet access, point to further simplification in this “on-demand” culture. Autonomy and connectivity, as it relates to transportation, has been no different. Most modern societies value independence. The desire to have unencumbered, individualized mobility is another spoke in the on-demand culture wheel and it’s been that way since the introduction of personal automobiles. Being able to travel where we want, whenever we want and without being bound by fixed schedules was a significant step, too. In America, “Sunday drives” for the sole purpose of leisure proved that. An aging population that is entering into retirement and using social media and technology with nearly the same frequency and fervor of younger generations are setting the bar for what comes next. As a result, some transportation companies are already stepping up to ensure their businesses are ready for the future, in whatever form that future takes. One thing is certain, the next generation of transit will not be boring. Not only are the demographics (i.e. age breakdowns, population groups, places of residence) shifting in the U.S., but so are the psychographics (i.e. opinions, values, interests, attitudes, and lifestyles). The rise of healthy lifestyles and environmental awareness are obvious examples. If riders are able to customize transportation options that deliver the same ease and convenience of a personal vehicle, they are more likely to do so. If the mode is better for the environment and reduces street traffic congestion, even better. Fixed route buses and rail systems were once considered convenient because the schedules were frequent and reliable. People simply tailored their movements to those schedules. Today and in the future, people want the opposite--transportation tailored to their schedules and specific needs. The specialized transportation markets described below represent niche areas of transit that are and will continue to benefit from the evolutionary industry changes. This list is by no means exhaustive. Transportation services everywhere are reinventing themselves and the markets identified here are just a few examples for consideration. As a result of the Americans with Disability Act (ADA) of 1990, public transit agencies that provide fixed route services are legally bound to offer transportation for patrons with disabilities. This includes providing access to vehicles, transit stops, facilities, and customer service. Paratransit services are vital and a lifeline necessity for trips to the doctor, dialysis centers, shopping, school, adult daycare facilities, senior nutrition centers, etc. Paratransit vehicles are equipped and prepared to transport riders in wheelchairs, walkers, or with other special needs. Non-emergency medical transportation, or NEMT, is a transportation mode ensuring that eligible patients can get to and from medical appointments, hospitals and pharmacies. Trips are non-emergency in nature, but very important to users. For NEMT rides, there is no immediate threat to the health or life of the rider, and no elements of life support are required in the vehicle during the trip. NEMT drivers operate vehicles equipped to transport riders with wheelchairs, stretchers and other medical equipment. The driver may or may not have specialized skills to assist with medical needs. A shuttle service transports people back and forth from one point to another. Usually, the service has designated drop-off and pick-up points, and runs at regular intervals between the two. This type of transport can best be demonstrated by campus circulator routes and on-demand operations for corporations, universities, governments, airports, and other private or public organizations. They connect people with their places of work, study or entertainment and often to and from rail stations, bus transfer centers as well as park-and-ride lots. Shuttle services are also becoming more common at large shopping malls, theme parks, zoos, hospitals, sporting events and concerts. Next generation transit solutions have already begun to address evolving customer behaviors and choices when it comes to transportation. These new modes of transportation support numerous personal transit scenarios —a young professional commuting to their daily job, a person with a broken leg heading to a physical therapy session, or a senior citizen with poor eyesight needing to get to a doctor’s appointment. They each want fast, reliable service that is flexible to their individual schedules. These transportation modes will integrate with fixed route and rail systems in some areas, replace them in other areas, or serve a new demand where public transportation is not easily accessible or nonexistent. Rural or isolated communities are good examples of the latter. Mobility on Demand is about providing travelers more seamless travel options through the integration of on-demand services, public transportation, and payment mechanisms. The solution promotes public transit use with first-mile and last-mile connections. For people utilizing MoD services, it allows for a greater level of transportation accessibility and customization than ever before. All trip segments can be booked and managed through a mobile app or smart device (i.e., routing, booking, and payment). Microtransit services are privately or publicly operated transit systems that offer transportation to underserved areas, especially when other traditional public transportation methods are infrequent or nonexistent, and financially not feasible. They utilize demand-responsive technology, so riders can use a mobile app, call center or other technology to request a vehicle to their location when fixed route systems are not an option. In many cases, these demand-responsive vehicles replace underutilized and expensive fixed route systems entirely. In other cases, Microtransit acts as a replacement during certain hours when fixed route vehicles are not in service. Transportation network companies (TNCs) are companies that pair riders with drivers using websites and mobile apps. They provide flexible, on-demand transportation and also offer jobs for people looking to work on their own schedules. Many describe these services as ride-sharing or ride-hailing services — using the two terms interchangeably. Some TNCs offer ride-sharing services, allowing multiple passengers traveling in the same direction to request a ride and share the same vehicle to their respective destination(s). Some TNC companies in specialized markets offer services for riders with special needs by providing wheelchair accessible vehicles and/or accommodating individuals with other specialized equipment. In order to keep pace with customer expectations, transportation companies are challenged with finding and offering tools to riders that improve their transit experience. As mobility options expand and infrastructure continues to evolve, planning trips manually and utilizing paper manifests are no longer efficient, viable options. Additionally, a smaller number of drivers choosing to work in the transportation industry are putting agencies in the tough spot of managing more services with fewer resources. Automated scheduling allows riders to book trips online or by using a mobile app, all without the aid of a reservationist. This benefits the rider by saving time and giving them control of their own transportation needs. The automated trip booking can be managed with a variety of tools. Online customer portals give riders the freedom to use personal computers or tablets and manage their transportation options via standard web browsers. Mobile apps allow bookings directly from their mobile phones, giving even more freedom to riders as they don’t need to be tethered to a computer. Some software platforms are utilizing the voice capabilities of devices gaining in popularity, such as Amazon’s Alexa. By integrating natural language control, riders can simply speak to their devices and book trips on specific days and at specific times. It shouldn’t be a surprise that this option is quickly becoming a desirable one, especially for people who are visually impaired and for those who struggle to work with or learn new technology skills. 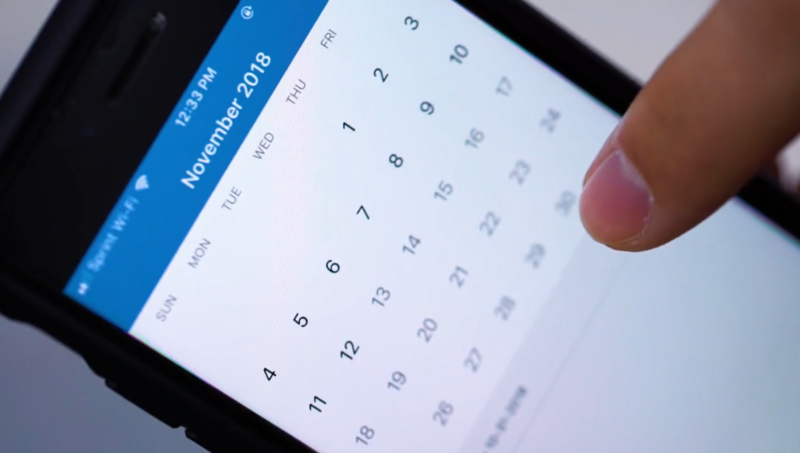 Manual scheduling is a thing of the past and dispatching is now mostly automatic. With the increase of on-demand transportation, agencies will be utilizing software platforms that manage the volume of trips being entered, multi-loaded, and modified without the need for manual intervention. These platforms will be secure, reliable and easy to learn, both for transit staff and the riders that count on them. There is no “one size fits all” solution to address everyone’s mobility requirements. Public agencies, non-governmental organizations (NGOs) and private businesses will increase and enhance their partnerships to provide mobility options in order to reach the highest percentage of people. Having the right technology partnerships will be a crucial key to success in the future. Today’s automakers, software developers and leading technology companies are ushering in a new wave of innovative transit technologies including autonomous vehicles. An autonomous vehicle is one that is electrically powered and driverless. The vehicle drives to and from a predetermined destination in “autopilot” mode using various in-vehicle technologies and sensors, including adaptive cruise control, active steering, automatic braking systems, GPS navigation technology, lasers and radar. The long-term benefits of autonomous vehicles (AVs) still require continuous research and development regarding safety, technology issues, regulation and liability. As we currently rely on more Internet connectivity and increased automation in our lives, so will our modes of transportation. Reinvestment and modernization is critical to ensure that infrastructure is prepared for smart vehicles. Currently, there is a considerable amount of deferred maintenance to be addressed while we reconfigure how we live and work. Ride-sharing, ride-hailing, and other cloud-based transportation management services have become commonplace. In the future, they will be even more ubiquitous and will force city managers, urban developers, as well as financial and accounting managers to consider new issues they have not faced before. Citizen data capture, revenue models, cybersecurity, urban density, transportation networks, and land-use allocation are just a few examples on a very long list. 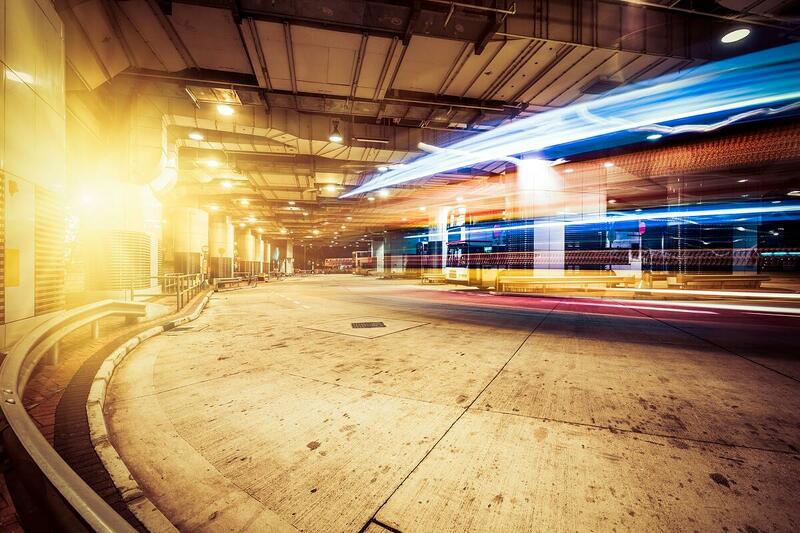 “Smart cities” will continue to emerge disrupting the current city landscape. A smart city incorporates information and communication technologies (ICT), with a variety of devices connected to the network to enhance the quality and performance of urban services such as energy, transportation and utilities. This can result in reduced resource consumption, wastage and overall costs. The goal of a smart city is to enhance the quality of living for its citizens through smart technology. Toronto, Canada and Dubai, in the United Arab Emirates, have become models for smart cities, and many more are expected to follow their lead. Mobility as a Service (MaaS)? Mobility as a Service (MaaS) represents the shift away from individually-owned modes of transportation and towards mobility options that are consumed as a service. Essentially, it’s an on-demand transportation distribution model where a single digital platform offers riders the most efficient, seamless connection from point A to point B. Trips are planned by combining transit services which include but are not limited to public transportation, ride-sharing, taxi, bikes, etc. Riders pay for their transportation on a per trip basis or even a monthly fee, all via a single, payment account and regardless of the number of different providers involved. The transportation landscape is rapidly changing. 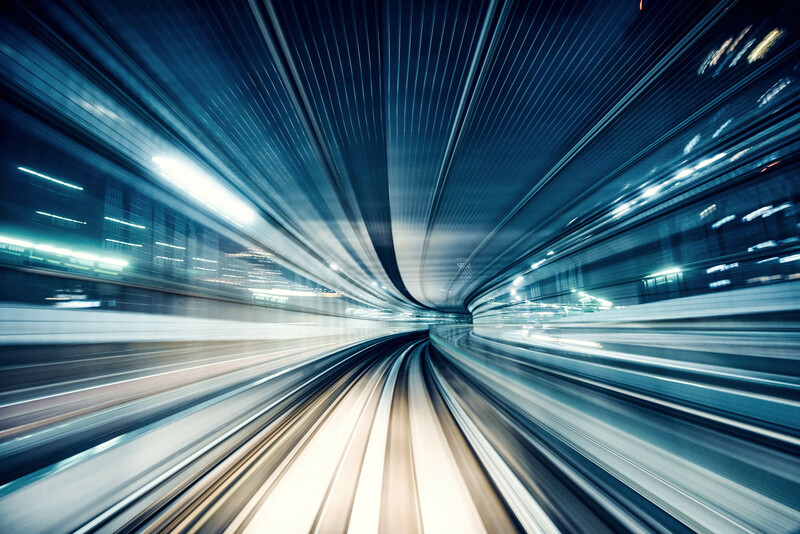 It’s clear that the future of mobility will rely heavily on the implementation of next generation technology to deliver more convenience, seamless passenger experience, cost savings and safety. There will be no short supply of transportation options and given the rise in expectations for on-demand mobility and increasing population density, it will be critical for transportation agencies to be prepared. The time is now for planning for the next 10 years and beyond.